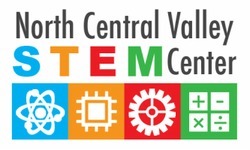 ​The North Central Valley STEM Center is a Regional Collaborative Partnership between area leaders in education, industry and businesses from throughout the Northern Central Valley and beyond. Our mission is to prepare our region to graduate the most STEM capable students. ​Please refer to our video below for more information. The awards will be presented on May 9, 2019. ​Register Now For Our 5th Annual STEM Awards Dinner! The purpose of the technical Summer Hire Program is to match area high school students with summer jobs that represent STEM (Science, Technology, Engineering and Mathematics) fields of study. Coaching and mentoring will be provided to the students in the summer hire program through the North Central Valley STEM Center. Please share this opportunity with high school students. The application period has closed for 2019 but will be offered again in 2020. Congratulations to our 2017-2018 Award Recipients!